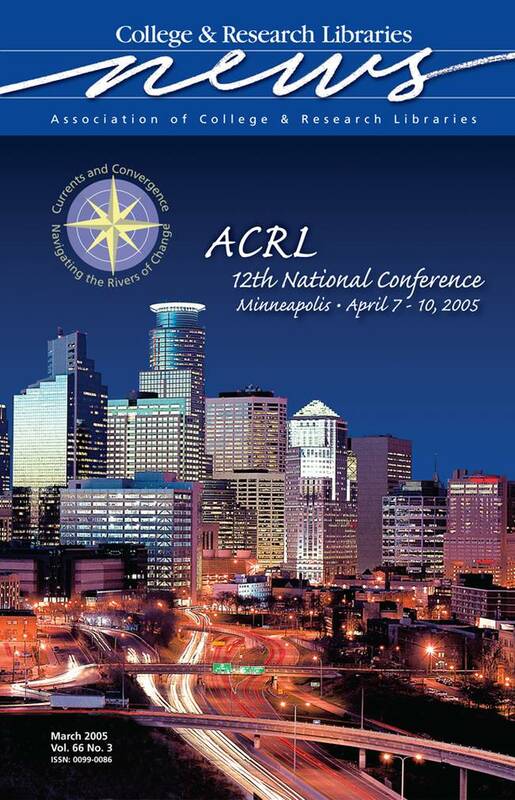 ACRL invites you to join its 12th National Conference in Minneapolis, April 7-10, 2005. “Currents and Convergence: Navigating the Rivers of Change” will help you keep pace with the latest library research and techniques during contributed papers and panel and workshop sessions. Roundtable discussions and poster sessions provide an opportunity to discuss hot topics and exchange ideas with your colleagues. Choose from more than 200 peer-reviewed programs! Complete details about the conference, including information about our first ever virtual conference, are available online. See you in Minneapolis!